The best thing about beards, foamy-moustache funtimes aside, is their impermanence. Maybe you’ll grow one and forever shall it remain. Perhaps you’ll sample stubble and then go running for the razor. (Coward.) Either way, it’s a switch-up to your style that’s intrinsically transient. No two days of bearding are ever the same. It’s perpetually changing. And if you don’t like it today, yours is the power to remove it. So for those feeling in need of an image change, facial hair is a sound investment. It’s cheaper than overhauling your wardrobe, for starters. Plus, safer than cutting your own hair and infinitely less risky than trying something ‘new’ on your head. Patchy stubble is simple to hide. A failed rockabilly pompadour, less so. But for many men – perhaps you, dear reader? – stubble equals shame. It can be fluffy like a kitten when what you want is something beastly. Perhaps it’s patchy? Disparate nonsense instead of an unyielding thatch of glorious face power? It’s for those men that beard growth is fraught. But fret not. With smart cultivation, being beard-happy is possible for all but a few. Whether you grow robust wire like a human brillo pad or struggle to sprout a mere few strands, learning to lay down the right length is long overdue. To that end, FashionBeans put down the tree-felling axe and went to the scissor smiths at barbershop Ruffians to gain the inside track on beard growth. Finding the perfect length for you is just over the horizon. On, then, to beard glory. 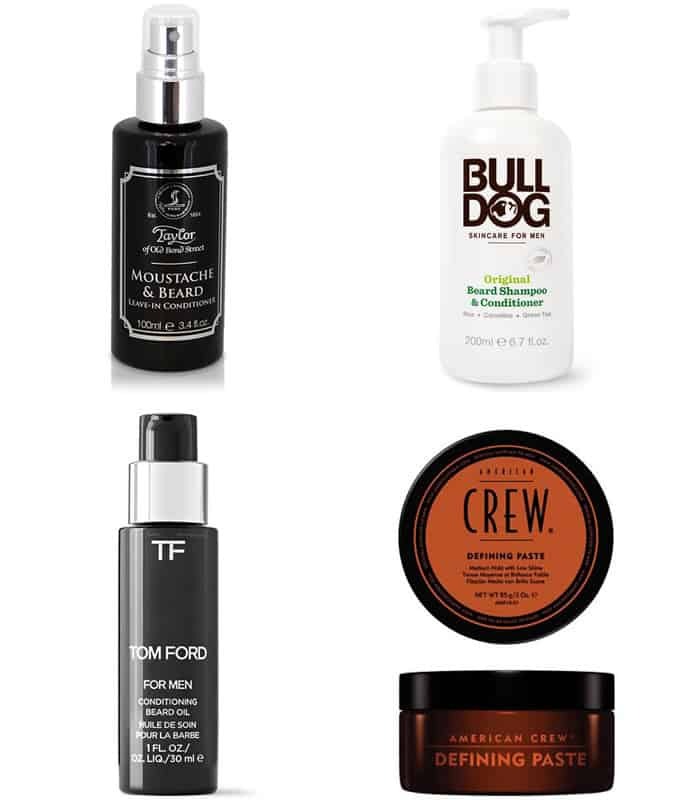 Self-explanatory – this is a lack of shaving more than anything else, though there are ways to keep stubble looking fresh as a way of accentuating certain features. Obviously depends on the individual’s personal growth pattern, but generally two-to-five days for proper coverage all over. If you work in an environment where this is possible, it’s a good option to grow stubble if you have a larger, rounder face. By sharpening up certain lines around your cheeks, you can give more angles to your face – think of it as makeup for men. But, y’know, manly. How Do I Groom It? Use a trimmer on anything from grade 1-3 (measurements in millimetres) and trim twice a week, rather than daily, so you don’t damage your skin. Make sure you use a light exfoliator before, or a face wash, and moisturise afterwards, so that your skin can handle the abrasions of an electric razor. This is your holiday beard. As you’ll have learnt, it only really works well if you have full facial coverage. Stay patient at the early stages if not; it might look better after committing to some growth, then trimming evenly. Depends on the individual, but usually around five-to-10 days. Best for those with a good, even facial hair growth. If you have patchy/sporadic facial hair, this will just further highlight the gaps, which is not ideal. Use a trimmer set at 3-5mm. If you have thicker growth in some areas (the moustache usually) perhaps go the grade shorter, so that it looks fully even all over. Also, remember to get rid of any hairs hanging over the lip by using the trimmers guardless, very precisely above the lip. As with short stubble, you need to take care of your face here, so use an exfoliator and a moisturiser to keep it in good condition. Even all over – definitely full facial coverage, but no longer than a centimetre at any point. This is good if you work in a smarter environment. It’s a neat look, which aims to remain consistent and even all over. Great for those looking to emphasise cheekbones or a strong jawline; inversely, ideal if you’re looking to make a small chin look fuller, or slim down a rounder face. Use your trimmers every three or four days to your desired length; taking hair slightly shorter on the areas which have fuller growth. Rinse with water and dry off with a towel, then smooth down with your hands using a tiny bit of a styling paste. You don’t need a lot, just something to keep it looking glossy and evenly patted down. As always – keep your skin in good condition by exfoliating and moisturising. This is when the beard begins to properly move away from the face, looking more 3D. Roughly two-to-three months. It’s a commitment. This works for those with good, solid facial hair growth. You can use the longer beard to create or retain good facial proportions. For instance, if you have a small chin, growing hair there helps to elongate the face; if you have a thin face, growing more hair on the sides can fill out the silhouette; if you have a round face, make sure you opt for shorter hair on the sides to create angles where there aren’t. Once your beard gets to this length, you should probably shampoo and condition it every few days, otherwise it runs the risk of drying out. Blow-dry on a medium heat. Apply a beard oil to the roots and run through with your hands. This will keep it nourished and help the hair to retain its natural moisture. 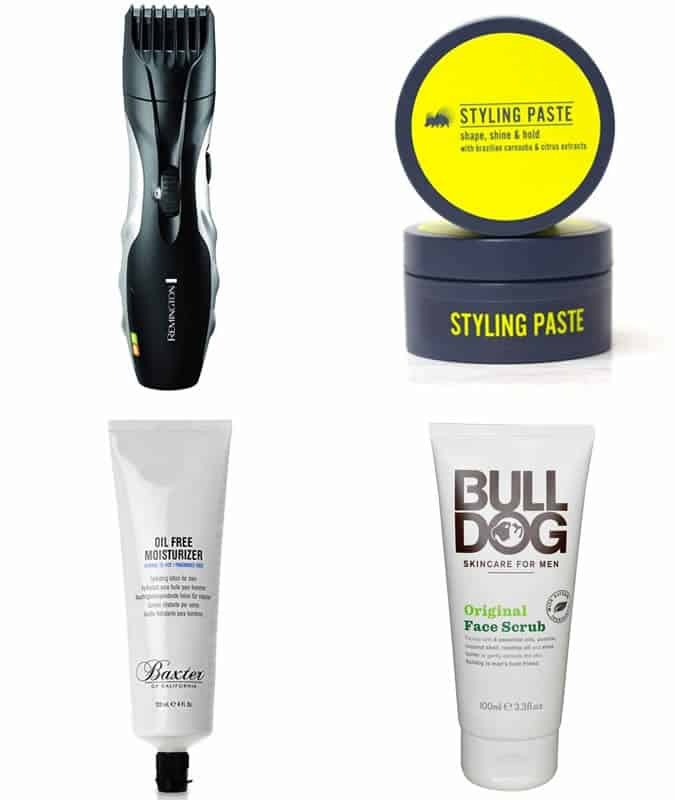 Use the residue of a styling paste to keep in shape, and give a glossy finish. Visit your barber every two weeks to tidy up the strays, and so they can clean up your cheek line. This is the kind of beard you can twizzle and plait, should you so desire. This works for those with confidence and no small degree of swag. It’s a bold statement of facial hair, so make sure you have the confidence to match. Visit your barber every two or three weeks for tidy-ups and trims, and look after you beard in the same way as above – shampoo, condition and use a beard oil every day. A wooden pipe will complete the look.